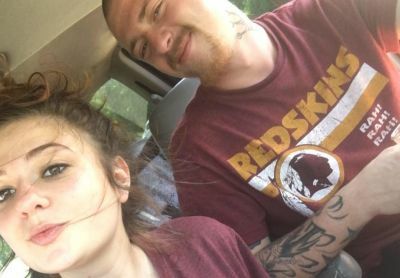 It’s been just over two months since 16 and Pregnant star Autumn Crittendon tied the knot in a surprise ceremony in Virginia. Autumn, who gave birth to son Drake during the fifth season of the MTV show, had only been in a relationship with Brad Oxley for about a month before they got married, and it seems that they’re ending things just as fast as they started them! Autumn announced on Facebook and Snapchat on Monday that she is getting a divorced, and her Facebook page now declares that she’s single. Brad’s Facebook page still lists him as being married to Autumn. It’s not yet known what caused the split. Autumn, who shares Drake with her ex, Dustin Franklin, had been tweeting last month about how happy she and her new husband were. To see what the other girls from the fifth season of “16 and Pregnant” have been up to lately, click here! If that isn’t criteria for marriage, I don’t know what is. You’ve been together for a whole 2 months and are STILL happy? Wow, what a feat! The first 2 months are always the hardest. Give Me a Freakin Break.They were in Lust not Love and that never makes for a solid foundation. 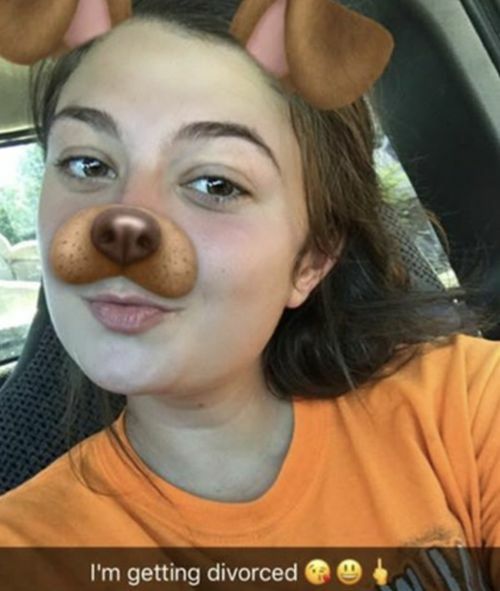 I’m having a hard time reconciling her sisters statement about leaving a sad situation with Autumn posting a puppy dog selfie about her divorce. I don’t know what world you live in but after a divorce you always post a puppy selfie to tell people. Maybe he didn’t want to share her with Millina. Wasn’t she supposedly in a relationship with her for a bit? But they didn’t even get time to make an oopsie baby?? It was irresponsible of her to marry so quickly.It is not all about you anymore. When you have a child you have to make certain that the person you are going to marry is going to be good for your child. One month is not nearly enough time to get to know if this person is stable and if he has the potential to be violent etc. Does this surprise anyone? The evidentiary list of this girl’s stupidity is a mile long, and that’s just the things to which we are privy; I shudder to think of the things that we DON’T know about. And people are worried legalizing gay marriage will ruin the sanctity of the whole ordeal. Dumb kids. Wow!They were still flirting with each other after a few months..?That’s what most people call dating..
Whoa. Okay, I got engaged really fast but we stayed that way almost a year before getting married ? there’s whirlwind and then there’s stupid. There’s a reason why you should know someone for say longer than the time between oil changes on a car before you procreate and marry a person…. Yeah, the first few months are called a “honeymoon” phase for a reason. You shouldn’t marry when you’re high in love because you don’t see anything wrong with that person at that time. Only when the infatuation fades, you see if you really love him/her. My god! It’s like she is proud or something in that picture. In so many ways these girls have failed and it doesn’t even phase them… it’s on to the next thing that makes them happy at the moment. No thoughtful planning or consideration. How confusing and heartbreaking for her son too. I’d be pretty proud of myself also if I was getting out of a relationship where someone cheated on me. Most people stay which is idiotic. So what it was two months I wouldn’t stay two seconds if I found out my husband cheated on me.